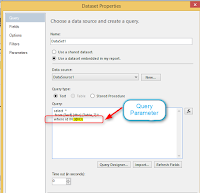 What is Report Parameter and Query Parameter in SSRS? 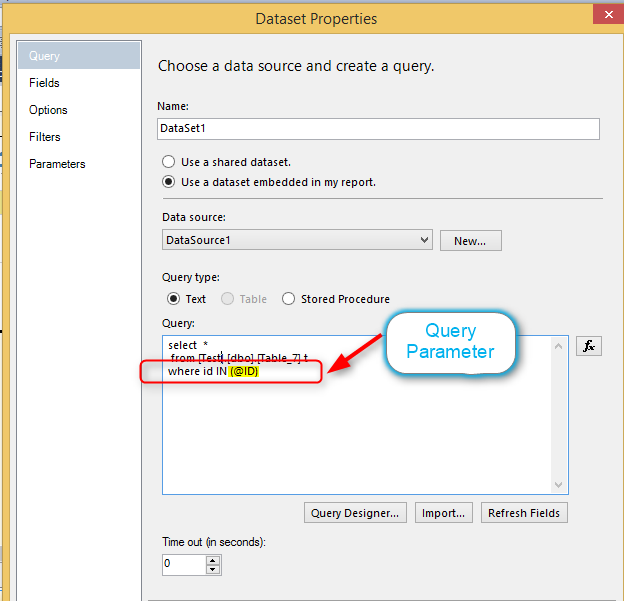 The Query Parameter will filter your data in the DataSource level. We can use these parameters in dataset of SSRS report to filter the corresponding data. The Report Parameter will let the user to filter the report as per requirement based on the options they choose. When you create a report parameter and run the report, you let the user to choose values for the report parameter.